It's here! It seems to have taken so long, and in other ways it seems to have got here so quickly! Happy Valentine's Day to everyone, as we start this colourful quilt on a day of love and flowers, chocolate and wine, good food shared between loving people. 1. 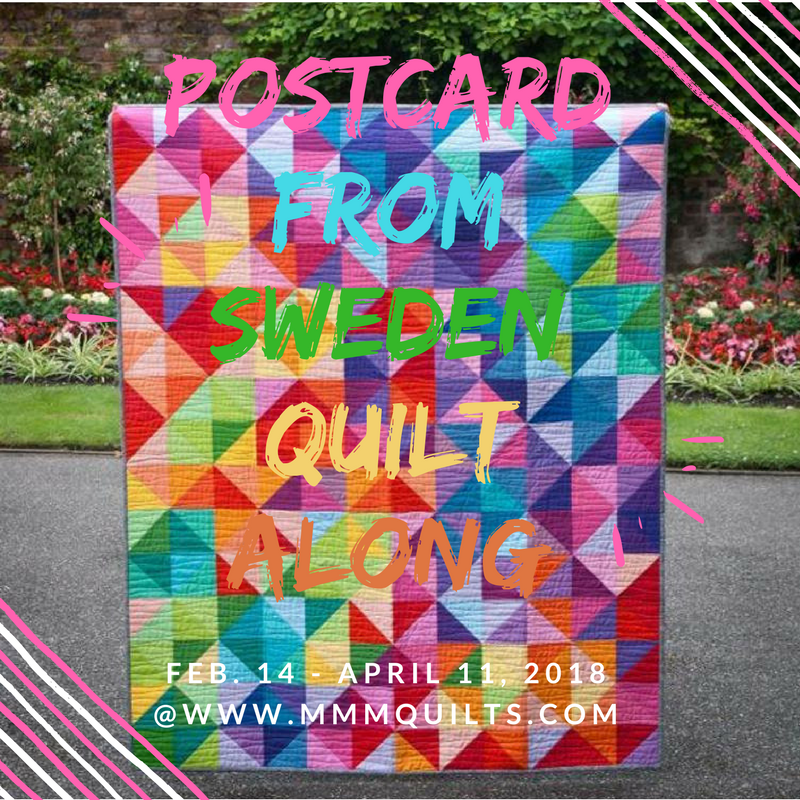 I've made a page for the Postcard from Sweden Quilt Along. You can click here to see it or click the tab "Quilt Alongs". From there you will be taken to a page where you will find the two that I have hosted so far, Freefall, and now this one. If you click the name of the quilt, you will be taken to its separate page where all the posts are listed, and as they go live, I will update the links. A quick recap of the prizes thus far. I say 'thus far' because they seem to be like postcards; you can't just have or send one right?! The winner's choice of either a backing/binding package to finish the quilt, OR $75 gift card to the shop with free shipping! Stitch Stash Diva has kits for sale if you haven't got yours yet. Free shipping within the US. Kelly is the designer of the beautiful quilt we will be making. $50 gift certificate to the shop. Mad About Patchwork has kits for sale if you haven't got yours yet. Free shipping within Canada for readers of my blog 😍💝 with code MMMQAL. The Tartan Reel has kits for sale if you haven't got yours yet. Free shipping within the UK. Thank you so very much to my sponsors, I'm so excited about getting some, as I had not envisioned this taking on the life that it sure has! All right! Quilters, pick up your rotary cutters! Get ready! Go! This week's step is to have amassed your fabric, petted it, folded and refolded it, pressed it, washed and ironed it, what have you, fondled and admired it well, and now...... to cut into it! Here is mine, a collection from three places: my stash, my dear friend Helen of Midget Gem Quilts who was the instigator (and I, in turn, her enabler; one good turn deserves another) in getting this QAL going, and our joint purchase of the extras needed from Missouri Star Quilt Company. And now I'm dithering.... Lap size or twin size? 4" or 5" squares to cut? Guess I have nearly 2 weeks to make a call! So, before Feb. 28, gather your fabrics, cut them into 4" or 5" squares and from there into HSTs, and then write up a post, take a photo or two and post it on Instagram (use the hashtag postcardfromsweden and/or postcardfromswedenquilt, and/or postcardfromswedenqal), or Flickr, and come back to link up at the linky party which opens Feb. 28, and will remain open for one week. You know what? This gives you a little wiggle room to make that quilt size call (no names mentioned) and/or to order or to receive your fabric, or to search through your stash and do the pull (and cull too, ha, because it uses 36 colours, but not much of each). And if you just can't resist anymore, remember that Stitch Stash Diva, Mad About Patchwork and The Tartan Reel all have the kits ready-cut for you at really amazing-good prices. I wouldn't steer you wrong. And ask Helen; I'm a pretty good enabler, had a lot of practice on myself. LOL. I am still on the fence...but it has a really bad lean to it. Oh, you've got a great set of colors to play with! It's going to be fun to watch these come together. What a lovely stack of pretties to play with! 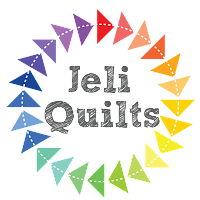 Your quilt is going to be beautiful... And so much fun for everyone to quilt along with! 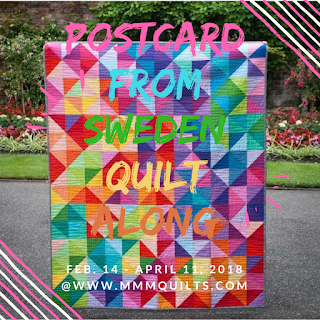 Last year, I followed along with Myra at Busy Hands Quilts to make the Postcard From Sweden quilt and got as far as finishing the top. I'm hoping your QAL, Sandra, will push me to finish this project! I love this quilt so much! Yippee! Time to play with more fabric and yummy colors! Thanks, Sandra, for hosting this! I am seriously thinking of diving in. Quick question: did I miss some information about choosing alternate colours? Darn it all...I've been so good about letting this one go, but now I've gone and ordered the kit!!! lol....looking forward to another sew-along with you! I need to be very brave and give this QAL a miss. BUT, I did have to talk very hard to myself to verify that decision!!! 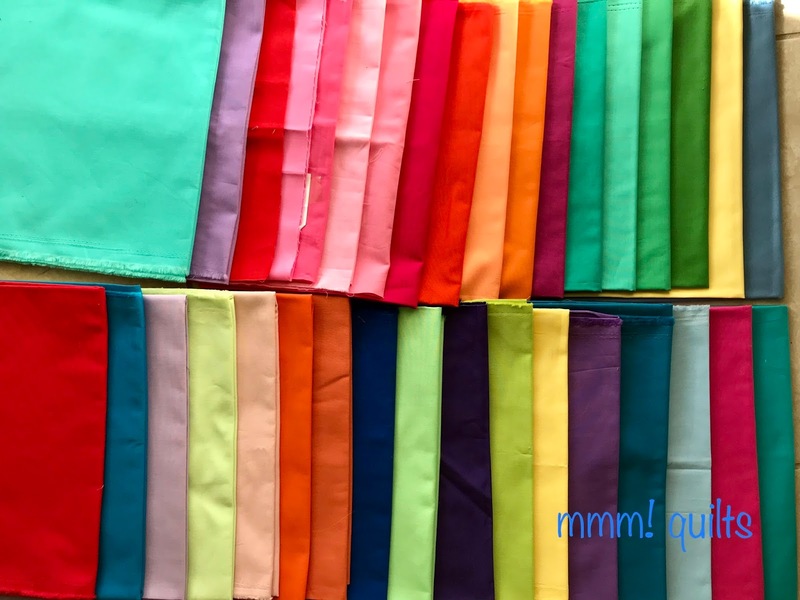 Those colours are bright, and will go together to make one fab quilt. Too much else going on at home, 3 weeks away for our daughter's wedding, and a lot of STUFF to catch up on, finish or put away!!! I know this will be a huge success, and there will be so many joining in. This is gonna be fun - you are doing a great job! Can't wait to see them all. Your stash looks awesome. Looking forward to a burst of color in the coming weeks. Fabrics ordered, email to say they have been dispatched, expected tomorrow, so exciting! No excuse not to join in here! I bought the kit three years ago and really need to get on with it! I got my fabrics yesterday! So excited to start...but I didn't know I had to choose between two sizes. Oh no! I have all the fabric for this quilt so I’m probably going to join in and make it. Thanks for hosting the QAL! Looks like fun Sandra and generous sponsors...sitting firmly on my hands though...! I'm trying to use my stash only---am substituting colors as close to the pattern as possible. I only see 35 fabrics in your picture....(I was trying to see possible color substitutes).....I'm so excited but am on the fence as well as to whether I want the 4inch blocks or the 5 inch. Since we're making 180 of them I think I'll opt for the larger size. Thanks for sponsoring this....it'll be tons of fun! Flickr ? Flickr ? Do we still use Flickr? Should I try and remember my password? You have all the options covered there which is great. I am hoping for a fabric layout and labelling this weekend. Now I am off to check out my flickr account. I have wanted to make this since I first saw it. 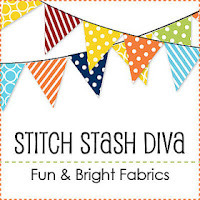 I ordered the fabric kit from "Stitch Stash Diva". What a great recommendation! I received the fabric within 5 working days. Now to catch up on cutting, pairing, etc. So glad you are joining us Christine! I hope you'll include your email next time you comment. I'm crossing my fingers you'll see my note to you as you're a no-reply and I have no way of emailing you. All 3 shops have had excellent reviews as far as service goes; I'm so glad. It's Real and I'm Not Dreaming!